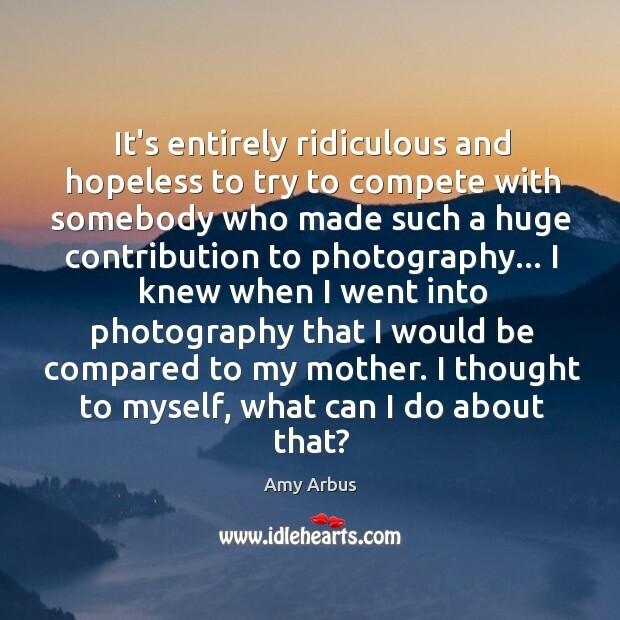 Enjoy the best inspirational, motivational, positive, funny and famous quotes by Amy Arbus. Use words and picture quotations to push forward and inspire you keep going in life! When I ask to photograph someone, it is because I love the way they look and I think I make that clear. I'm paying them a tremendous compliment. What I'm saying is, I want to take you home with me and look at you for the rest of my life. My mother's work has been an enormous influence on me, but not literally. By that I mean, my photographs don't look like hers. That makes it difficult to compare them. What they do share is an emotional intensity. 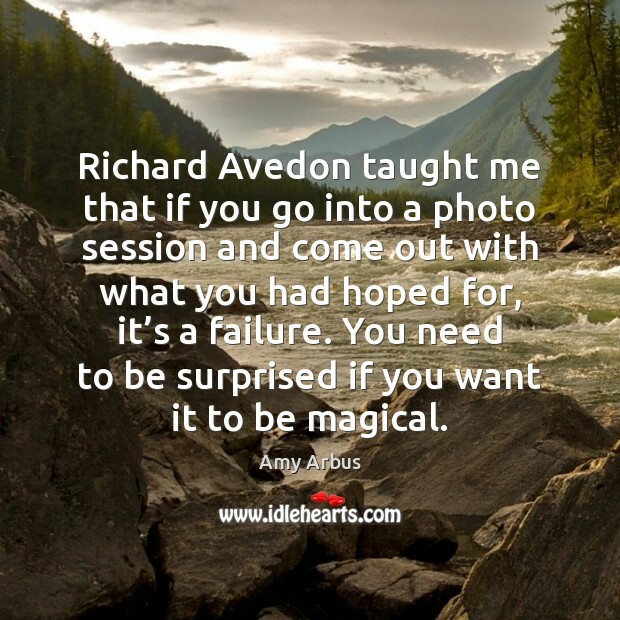 Richard Avedon taught me that if you go into a photo session and come out with what you had hoped for, it’s a failure. You need to be surprised if you want it to be magical. It's entirely ridiculous and hopeless to try to compete with somebody who made such a huge contribution to photography... 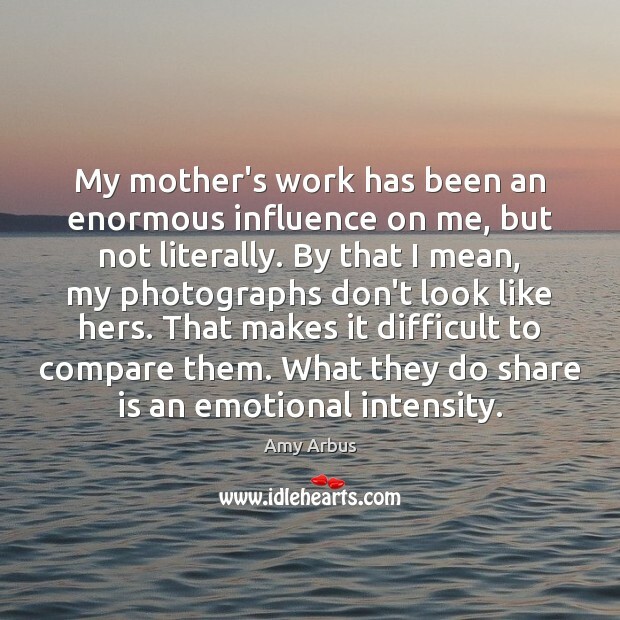 I knew when I went into photography that I would be compared to my mother. I thought to myself, what can I do about that?